The Rising Sun (Il Sole Nascente) is a large and bright bed&breakfast, located on the frist floor of a structure of new construction with 6 rooms: 2 double, 3 triple and 4 quadruple with each bathromm for the exclusive use. At guests' disposal a large and panoramic terrace from with you can admire the sea of beatiful ionian coast and de green hills of Val d'Agrò. The Rising Sun also has a 3.000mt garden when you can spand momnets of absolute relaxation. The Toscano family offers its guests the possibility to use, so as to be free, barbecue, table of tennis pin, and mountain biking. The Rising Sun at Furci Siculo, just few minutes from the sea, is an ideal point of transition from where where you can reach many tourist attraction including Taormina which is only 10 km. Adjacent to the facility is located a church property , built in honor of St. Anthony of Padua. Thoose who choose The Rising Sun can take a perfect holiday in the midst of nature and comfort, enjoying te tastes, smells, the atmosphere and the sea of Sicily. - Mountain bike, table tennis, football and garden and on-demand service boating lessons and tennis instructor Fit. Giovanni and Isabella will be glad to welcome you in their big, quiet home, and are happy to offer you the best possible services, by making available its knowledge of the places, history and local culture. 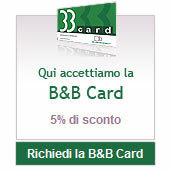 The quietness and elegance of the B&B are completed by the warm hopitality and discreet spous Toscano.